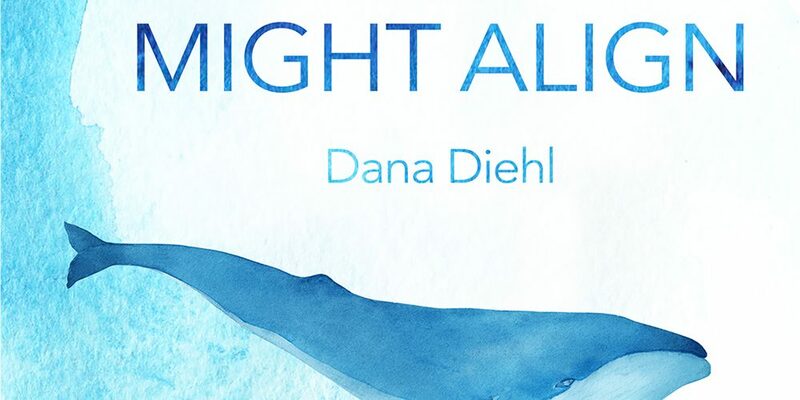 This is part two of a two-part interview with Dana Diehl. In the first part, Dana discussed the art of the short story in general and her inspirations. 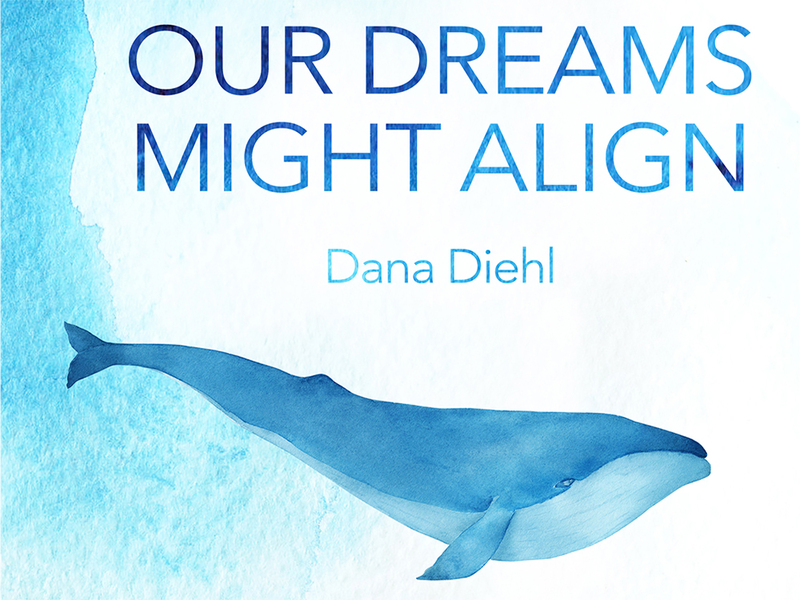 Dana Diehl’s collection of short stories, Our Dreams Might Align, is published by Splice and available to order now. 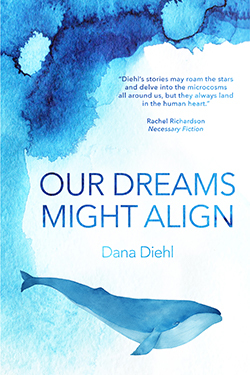 Yesterday, Daniel Davis Wood spoke to Dana about her influences and inspirations, about the role that science plays in her stories and the way she puts together her sentences. Here, the discussion continues with a focus on the stories in Our Dreams Might Align and the form of the collection as a whole. It seems like there are two kinds of stories in Our Dreams Might Align. A lot of them are short pieces that range from surrealism to magical realism to outright fantasy. Then there are a handful of longer pieces that operate more in the mode of realism even though they don’t always deal with down-to-earth themes. Despite this, the collection has an overarching unity to it, thematically and structurally. That’s something I want to come to in a moment, but for now I’d like to ask you about each of those two kinds of stories. The depth of your shorter stories is often quite startling, especially since some of them are only a couple of pages long. By this I mean that instead of starting with a narrative premise and elaborating on it or complicating it in dramatic ways, you tend to leave it uncomplicated and then meditate on it, delve into its emotional implications while keeping the narrative action pretty spartan. It’s almost as if you inhabit the skin of a character in a given situation without pushing them to do things for the sake of storytelling, without forcing them to change their circumstances or engage in a sequence of events that might feel forced. What does it take for you to get into this speculative frame of mind, and then pluck out a kernel of thought to assemble a story around? An image almost always comes first for me, and the writing process is about exploring that image, figuring out what it means and why it has stuck in my brain. Initially, my characters are secondary concerns. I like to “write into the mystery”, as I think Anthony Doerr once said in an interview. For example, in ‘Swarm’, I started with the memory of my dad burning bag worm nests from trees in our backyard as I watched with a mixture of relief and sadness and disgust. I built a story to help me to understand these emotions, which felt contradictory to me. ‘Going Mean’ was born when I heard the story of a man being killed and eaten by the two Komodo dragons he kept as pets in his apartment. It was a true story, as far as I know, and I wondered why someone might want Komodo dragons in the first place. What might they represent to someone? What needs might they be satisfying? So my stories usually start with images like these, and then the images raise the questions that power the stories. I’m not sure why my fabulist stories tend to be so much shorter than my realist stories. Maybe I’m afraid that writing anything longer would risk losing control of the magic. When I’m writing a story with a fabulist bent, I feel like I’m holding onto a string attached to a helium balloon. If I let the balloon go while it’s still full and let it float into the sky, the balloon will always be remembered as a mysterious and magical thing. But if I hold on too long, it will eventually deflate and its magic will fade. It’s interesting that you mention your father in connection with ‘Swarm’; you also mentioned earlier that your parents are both geologists and that this has influenced the scientific vision of your stories. Not that I want to speculate on your family life, but the subject leads naturally to your longer stories — the stories in more of a realist mode — because so many of them revolve around family disagreements, or unspeakable things between people who share family bonds. Some examples. ‘Burn’ is driven by the tension between two estranged sisters; ‘Animal Skin’, ‘Closer’, and ‘A Place Without Floors’ are all about fraught mother-daughter relationships; and then ‘Swarm’ and ‘Going Mean’ both revolve around two lovers are looking ahead — very uncertainly — to their future as a family. What is it about the imbalanced dynamics of family life that makes them such fertile ground for your exercises in realism? I fortunately have a happy and undramatic relationship with my family, so the conflicts in my stories are never actually inspired by my own relatives! However, I’m very interested in the concept of family and how being related by blood to another person can have mysterious and not always obvious effects on our lives. Family is fertile ground for stories because family can make people act illogically. For our families, we break our own rules. Also, every family is different, so you can write about families endlessly. I’m especially interested in motherhood. I’m not a mother, but I feel like it’s something I’ve been imagining for most of my life, ever since I was a kid playing with dolls: my mom was pregnant with my brother when I was two, and she gave me a little boy Cabbage Patch kid so I’d have my own baby to take care of. Being a mom seems impossibly scary and strange and magical, and I waver between wanting it and not understanding why anyone would want it. A mother’s role in her child’s life is constantly evolving, and how difficult must that be?! That’s a timely thing for you to admit. You’ve got a new story coming up soon on Splice, which deals with issues of motherhood in an unusual way — in fact, in a way that’s quite different even to the other stories about motherhood in Our Dreams Might Align. The scariness of motherhood is vividly presented in stories like ‘Burn’ and especially ‘Animal Skin’, which depicts a mother’s reaction to finding a tick latched on to her seven-year-old daughter, and the daughter’s reaction to the exposure of her body to her mother… I wonder if it’s possible to draw together some threads here and start to look at the collection as a whole. This idea of bodies being shared, or being in alignment, runs throughout the collection. Pregnancy and motherhood are obviously one way that bodies can enter this state, but it’s not the only way. Even in ‘Swallowed’, the two brothers trapped in the stomach of a whale “feel our we dissolve into I”. And as bodies in alignment start to diverge, your protagonists recurrently hope that they can return to some simpatico way of being, even if they can’t rely on their bodies to get them there. This is why the title Our Dreams Might Align (which comes from a remark in ‘Burn’) speaks to the concerns of the entire collection. Where else do you see these ideas reverberating throughout the collection? And to what extent did you consciously write towards some of these ideas, once they began emerging? When I was writing the stories in this collection, I wasn’t working toward a themed collection. I don’t think I even realized how often I was writing about motherhood until I saw the stories lined up next to each other. I’ve written a couple of themed projects since completing Our Dreams Might Align, but this collection feels like a true and natural reflection of my daily anxieties — one that I didn’t have to force. In some way or another (and I can only see this in retrospect), all of the stories in this collection are about being simultaneously linked to and at odds with the world. They’re about trying to find a connection, a feeling of balance and belonging. Looking at motherhood is one way I explore this idea, but I think I’m also doing it in my characters’ relationships with nature. My characters all find elements of themselves in their environments. In ‘Going Mean’, the narrator attempts to understand her own wildness in the face of domesticity by looking at the Komodo dragons’ way of interacting with her home. In ‘Closer’, Justine tries to understand the physical distance between herself and her father, as well as the emotional distance between herself and her mother, by obsessing over the ways whales traverse great distances. Of course, these characters are only projecting human qualities onto the animals that surround them. They want to understand themselves by looking at nature, but they’re also striving for a sense of belonging. They want to understand not only how they’re connected to other people, but how they’re connected to the world. One of the other ways you give the collection some unity is by sharing images between one story and another. The structure reminds me somewhat of a cat’s cradle, fingers connected with a web of yarn or wool. You take an image mentioned in one line in one story, and you bring it back elsewhere, in a story that is otherwise disconnected from the first — and it’s possible for a reader to leap from story to story, back and forth through the collection, by using these images as a springboard. So, for example, imagery of astronauts appears in ‘Astronauts’, of course, and then it recurs in ‘Swarm’ and ‘Once He Was a Man’. Imagery of the inside of a whale also appears in ‘Once He Was a Man’, and obviously in ‘Swallowed’, and then reappears in ‘A Place Without Floors’. Imagery drawn from geology animates ‘A Place Without Floors’ and ‘Closer’; the imagery of the Mariana Trench appears in ‘Closer’ and ‘Swarm’; and so on and so forth. How much of this is due to chance, and how much is due to design? Again, this wasn’t something that was very intentional in my first drafts. I find myself drawn to certain images or metaphors repeatedly, and I don’t think this is necessarily a bad thing. My favorite short story collections are those that seem to be mulling something over, exploring an idea from different angles, using different characters and situations. Shared images make a collection feel like it belongs together. However, when revising my manuscript, I had to be careful to not overuse an image, to let it become stale or lose its power. There were some images that I cut or toned down once my manuscript had a shape. Here’s a kind of silly example. My partner, William Hoffacker (a very talented writer and editor), pointed out that I kept using the word “belly” in my metaphors. The belly of the canoe. The belly of the river. The belly of the sea. I had some bellies to get rid of! I like that. I also like that in your forthcoming story for Splice, you seem to have compensated for erasing all those bellies from Our Dreams Might Align: there are lots of bellies in it, and they’re not really metaphorical! Which brings us to the work you’ve got on the horizon. Not the distant work, not the things that haven’t taken shape on the page just yet, but the polished pieces that your readers can expect to see pretty soon. In addition to new work for Splice, you recently won the New Delta Review chapbook contest for a collection that will now be published by NDR. How does it relate to Our Dreams Might Align? Continuation or departure? And what prompted you to take your writing in this direction? My chapbook is called TV Girls, and it’s a collection of flash fiction pieces inspired by American reality television shows. There are stories based on Sister Wives, The Bachelor, Cake Boss, House Hunters, and a couple others. All amazing shows, and amazingly horrible. TV Girls is definitely different from the other work I’ve done. I think it’s funnier, but I also think it’s angrier. My characters are women who have been given roles to play under the guise of reality, and they are angry. I started writing these stories because I wanted to show myself that I could do something different from what I was already doing. Also, I think reality TV is fascinating. I both love it and hate it, and I wanted to see if I could engage with it through fiction. Everything about this collection sounds gorgeous.